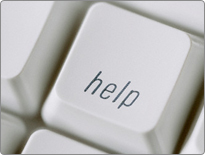 Get help with this website, ask a librarian, find computer support, use email services, and learn answers to your questions. The Library's website offers some exciting online features and services that will make finding library services even easier and more convenient. The Library's home page, in addition to giving you access to your library account and to our catalog of 1 million items, offers links to information about the Library and its services. Learn more about this site.